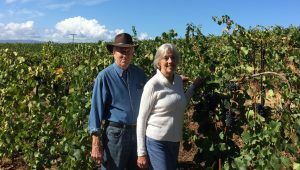 We’ll be opening up current and library vintages from Meredith Mitchell as well as releasing our 2017 Meredith Mitchell Vineyard Pinot blanc. The small bite we’re pairing with this wine will be a true match made in heaven! This is an open house style event so feel free to drop in anytime between 10 am and 4 pm. Kindly RSVP to info@winderlea.com with the number of people in your party and any dietary restrictions we should be aware of. We look forward to seeing you and sharing these great wines with you!